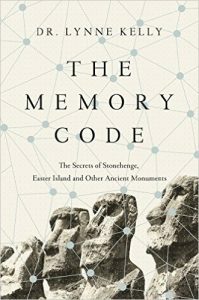 ← Stonehenge – they moved their memory palace from Wales! 2016 is to be a big year. 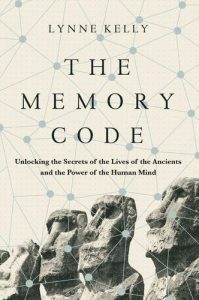 My next book, The Memory Code, is the culmination of eight years of intense work. To feel that I had the authority to make the claim that I have a new theory for the purpose of enigmatic prehistoric monuments around the world, I needed the peer review of a PhD and then the Cambridge University book, Knowledge and Power in Prehistoric Societies. That is all done. 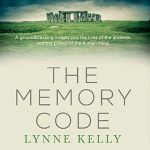 The Memory Code will be published by Allen & Unwin in July 2016 and later by Atlantic Books in the UK. The book is very different from the academic version. There is obviously less academic referencing. Stonehenge and Chaco Canyon are still prominent, but I have added more about Avebury and Orkney and a whole new chapter on the amazing stone rows and other structures at Carnac in Brittany. Interestingly, the questions after talks and in emails have often been about the actual memory methods used by indigenous cultures and how to implement them in modern life. Hence Chapter 3, Memory spaces in a modern world, came into being, explaining exactly what it is like to use these methods. I am working on My 25 Memory Experiments constantly and loving it. The adaptability of the Inca khipu / quipu in my own experiments astounded me. That experience enabled me to better understand how the non-literate Inca managed a vast empire without writing, every bit as powerful as the contemporary cultures in the Americas, the literate Aztec and Maya. So there is now an entire chapter on the Americas, which took a lot more research. The incredible glyphs known as the Nasca Lines deserved a chapter of their own. Easter Island moai on the side of the mountain. (c) Ian Rowland. Similarly, it was through further research on the Pacific cultures, that of the Pacific Navigators, the New Zealand Maori and the Rarotongans that I came to understand the critical nature of using genealogies in organising Pacific knowledge systems. 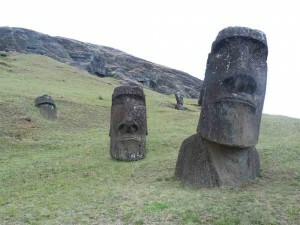 That unlocked the purpose of Easter Island’s statues. This entry was posted in Allen & Unwin, archaeology, art of memory, Chaco Canyon, Easter Island, indigenous memory systems, Knowledge and Power in Prehistoric Societies, mnemonics, Nasca lines, Stonehenge, The Memory Code and tagged art of memory, Chaco Canyon, Easter Island, Knowledge and Power in Prehistoric Societies, Memory Spaces, mnemonic devices, mnemonics, Nasca lines, Stonehenge, The Memory Code. Bookmark the permalink.